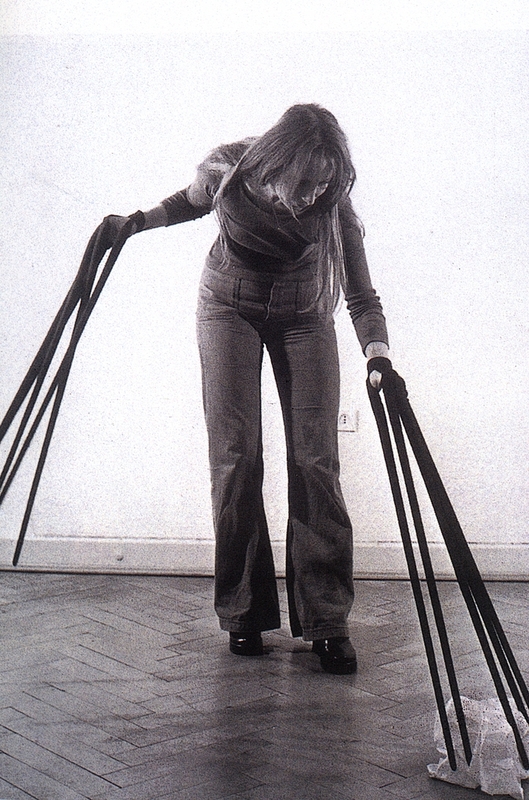 rebecca horn’s ‘finger gloves’ | Abler. Rebecca Horn‘s Finger Gloves, from 1974. I’ve included a video of the gloves in action below; you only need to watch the beginning to get a sense for how they work. In Barcelona as a young artist in the early 1960s, Horn was working with glass fiber without a mask. Unaware of any harm, Horn used the material routinely before becoming very ill. She spent a year recovering in a sanatorium, and it was in her hospital bed that she began to make body-centric sculptures. Here, the gloves extend and alter the normal sense of touch: sensation is mediated, but available in ways it wouldn’t otherwise be. Horn’s work has been wide-ranging since this project, but I keep coming back to its elegance and provocation—both distancing and intimate at the same time. Thanks to DesignAbilities for pointing me to this work. Image credit.